Travel for leisure or on a business, you must not ignore your health. 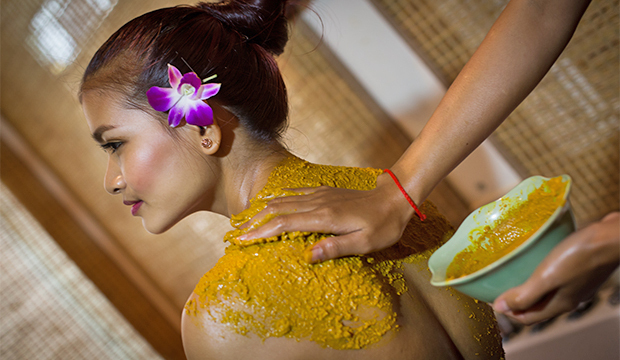 Get Yourself Pampered by our professional therapists at Bayon Spa & Health Club. Our highly trained massage therapists will make you feel refreshed and rejuvenated; Massage therapists will use a variety of techniques to promote healing and relaxation, as well as to promote greater flexibility and range of motion. Our Garden of Wonder will not only eliminate anxiety, pressure, but also it will help reduce fatigue, relieve stress; which is a powerful factor in your healthcare regimen. 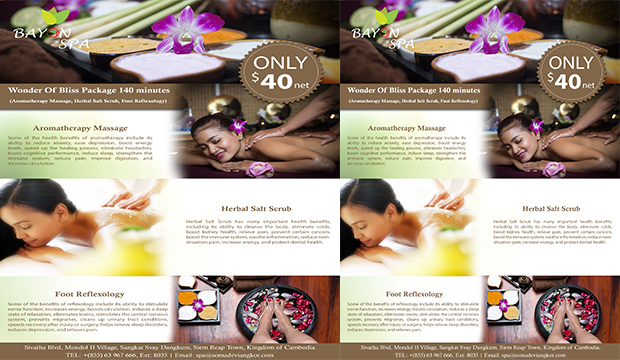 Please contact our receptionist for reservation and discount offer. 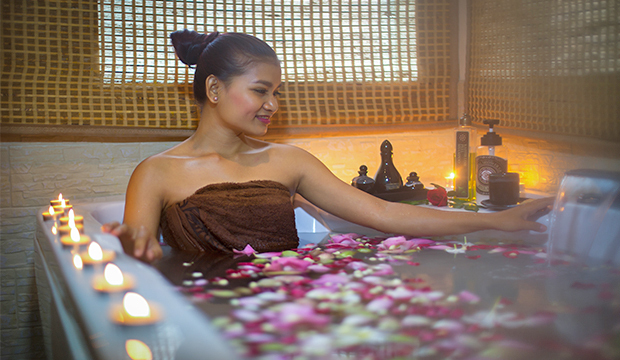 - Khmer Herbal Hotel Compress. - Hydro-Active Mineral Salt Scrub. - Herbal Mineral Salt Warp.